The Newham Grooves project started in E13 and we are excited that it is expanding to hubs in E16, E6 and E7! Each Groove hub invites new musicians in year 4, 5 and 6 from neighbouring schools to come together to play in ensembles including orchestras, singing and guitar/ukelele. E13 Groove: Curwen, Portway, Plaistow, Selwyn and Upton Cross primary schools with Lister Community School. E16 Groove: Hallsville, Keir Hardie, and Scott Wilkie primary schools. 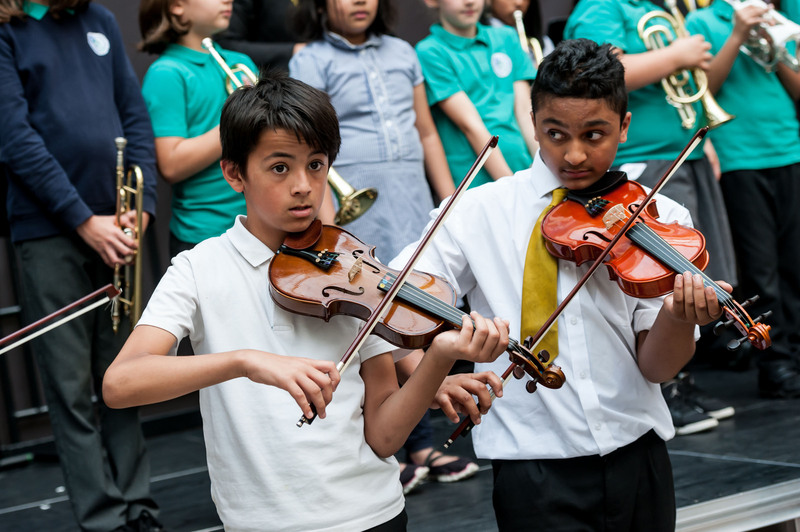 If you are interested in joining a Newham Groove or becoming a host school, please contact us at info@newham-music.org.uk or call us in the office on 020 3598 6260.